The Apache HTTP server is one of the most used web server today. The great features that Apache HTTP includes media assistance, loadable modules and extensive integration with other popular applications. 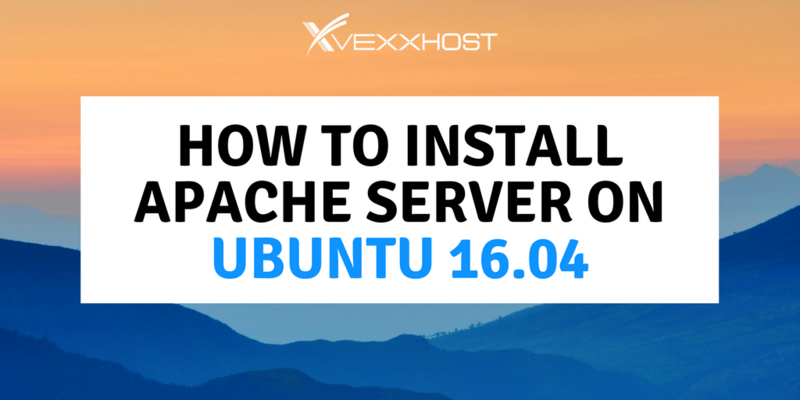 In this tutorial, you will be introduced to the best way to set up an Apache internet web server on your own Ubuntu 16.04. For the prerequisites needed before this tutorial, you should have a normal, non-root user with sudo privileges installed on your server. Don’t forget to configure a standard firewall to block non-essential interfaces. When everything is ready to go, you can start accessing your non-root user. Apache is accessible within Ubuntu’s default software repositories. This will be installed by using standard package management applications. After this step, apt-get will install Apache with everything it needs. After step 1 is completed, we must test Apache and change our firewall in order to allow outside access to the default web ports. Assuming that all directions were followed, you will need to have a UFW firewall configured to limit access to your server. During the previous step, Apache files with UFW to provide a few application profiles. After confirming the setup, apt-get will set up Apache and all necessary dependencies. After step 2, the profile is now on to allow access to the web server. After step 2, Ubuntu 16.04 begins Apache. Aug 16 15:23:14 ubuntu-512mb-nyc3-01 systemd: Stopped LSB: Apache2 web server. Aug 16 15:23:14 ubuntu-512mb-nyc3-01 systemd: Started LSB: Apache2 web server. Afterwards, you will ask a webpage from Apache to completely check if all is working well. You can access this through your server’s domain name or IP address. You will be able to get into the default Apache landing page to verify that everything is working well. Some may not want to set up a domain name, you can definitely use your server’s public IP address. In case you do not know your server’s IP address, here is a few ways to find it. When the server boots again, Apache should start by itself. Now that you know how to handle everything, it is important to know these files and directories. If all of these five steps were followed properly, the web server is now installed correctly. You can now have the best experience with the content and technology you would like to apply. If you have enjoyed this tutorial, make sure to check all the others on our website. If you have questions, please feel free to contact us and we will be more than happy to assist you. Don’t forget to follow us on Twitter for news, updates, and announcements – @vexxhost.